Everyone knows college is incredibly expensive, but exactly how expensive it is often depends on a set of circumstances. First, it often depends on what college you attend. Next, whether a student qualifies for aid can make a big difference in whether he or she graduates with a degree and college debt the size of a mortgage. But perhaps the biggest affordability factor is the student's family's income. The Institute for Higher Education Policy (IHEP) has released a report that finds, even with aid, college is often unaffordable for a wide range of low-income, working-class, and middle-class Americans. To compile the report, IHEP researchers looked at what 10 typical college students from different economic backgrounds should be able to pay for a college education. The report used data from the College Abacus net price calculator to find and compare net prices at more than 2,000 colleges. The net price calculator takes a student's household income into account, showing what each individual college or university is willing and able to provide in the way of aid, which reduces the sticker price of an institution to an individual net price. The assumption going in is there will be more financial aid for lower income students than those from affluent families. In fact, that's pretty much the case. But is it enough to tip the scales of affordability in a meaningful way, researchers asked? The report concluded that a student from an affluent household, with over $160,000 a year in income, could afford around 90% of the schools in the sample. 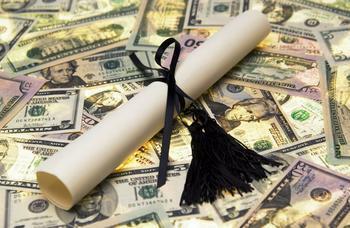 Students from households with less than $69,000 annual income are in a much different category, the researchers found. Only 1% to 5% of colleges were affordable. The report concludes that there are several things federal, state, and institutional policymakers can do to make college more affordable. They include increasing money spent on Pell Grants; beefing up state investments in higher education; directing colleges to spend more of their resources on students; and making the application process more transparent to help prospective students make informed choices. Which colleges give you the most bang for your buck?